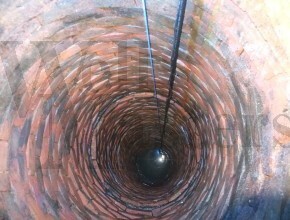 The pump is installed at the bottom of your well and once connected to the electric does a few checks before turning on. Once it is turned on it will pressurise the system and once it is up to the required pressure will automatically turn off. When you open a tap as you would normally the pump senses the pressure change and turns on. Close the tap the pump senses the pressure going up and turns off. If the water in your well drops and the pump is exposed the pumps have built in dry run protection which will check to see if it is under the water. If it is not then the pump will turn off and try again in 15 minutes. If still not it will try again in 30 minutes and that doubles until water is returned and the pump then knows it is safe to turn back on. The pumps also have motor protection built in and if it gets too hot or starts to pull too many volts and amps the pump will turn off automatically. 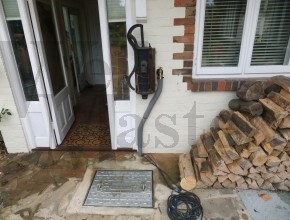 This type of pump is the best to use if you want the simplicity of using your well water as you would normal mains water, if you have a large irrigation system or require a good pressure over a long distance, they are also perfect for whole house systems which are the most common application to using your well.